sparklingexpressions is thrilled to announce that we will be in attendance at the Fairies In The Park event on September 15th, 2012 at the St Lawrence Park in Brockville Ontario from 10am till 5pm. The St Lawrence Park will be filled with fairies young and old. There will be many, wearing tutus and fairy wings, along with fairy dust, wands and light heartened fun. 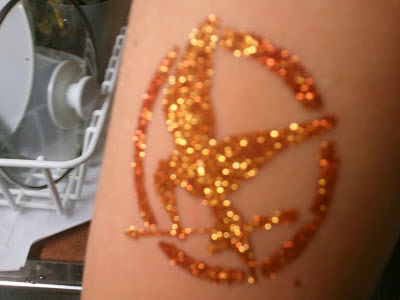 sparklingexpressions will be on hand to supply some glitter dust and sparklies via glitter tattoo's. These colourful tattoo's are for both the young and old so come on out and let us tattoo you. Other performances to be held, are the Fairy house building workshop, Fairy photo booth, Mayan Bean Readings, A performance by Dreamlight Productions, Crafts and other Vendors selling fantasy themed wares. For more information on this event please visit the New Leaf Wellness site.